The following is a statement from Vanessa Kirsch, Founder and CEO of New Profit, and Deborah Smolover, Executive Director of America Forward and Managing Partner at New Profit. 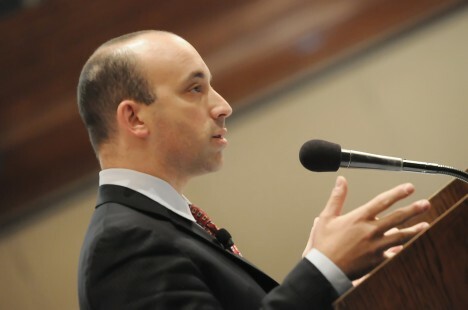 On the occasion of Jonathan Greenblatt’s stepping down as director of the White House Office of Social Innovation and Civic Participation (SICP), New Profit and America Forward commend Jonathan, President Barack Obama, and committed partners across the Obama Administration and Congress for their efforts to catalyze new, high-impact solutions to our country’s most pressing challenges. Speaking as part of a network of the nation’s most innovative and dynamic nonprofits and social entrepreneurs, and many individual champions of social innovation from diverse sectors, we call on the President to name an equally strong and visionary leader to replace Jonathan. In doing so, we hope the President will also recommit for the remainder of his term to leveraging SICP to make an important impact on the country: using social innovation to accelerate progress on national priorities by harnessing the energy of the American people through expanded national service and increased volunteering as well investing in what works and increasing impact investing to maximize taxpayer resources and drive better outcomes. Concrete action from the President will be imperative if we are to sustain the momentum that has been created over the last six years. We remain proud to have supported the Administration’s creation of SICP in 2008 and the subsequent work that was done to develop, authorize, and secure appropriations for the Social Innovation Fund (SIF) of the Corporation for National and Community Service. SIF has provided critical, performance-based funding to help expand high-impact nonprofits in communities across the country, while also bringing together new partners from the public and private sectors to commit to dynamic problem solving. Thanks to strong leadership from Jonathan and his predecessor Sonal Shah, the $177.6 million federal investment in SIF has leveraged $423 million in non-federal match commitments from 20 intermediary grantees and 217 nonprofits in 37 states and the District of Columbia. Jonathan has been a strong and relentless advocate for evidence-based policymaking and continued innovation. His legacy of accomplishments will also include growing support for Pay for Success models that increase accountability and results in social service programs, the expansion of national service, and the elevation of impact investing throughout the executive branch. As a campaign promise kept and delivered that has well-served the American people, SICP and the wealth of innovation it has fostered are important accomplishments. We believe that Pay for Success and national service hold great promise for bipartisan action and are powerful tools for driving better outcomes for people facing barriers to opportunity in communities across the country. To help realize this potential, we view it as essential that the work of SICP, SIF, and related innovation-driven programs continue in the remaining months of the Administration.